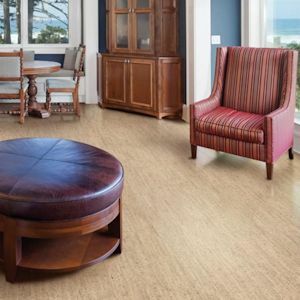 Harris Cork is a division of Harris Wood Flooring which focuses on offering beautiful, comfortable and durable cork flooring. Harris Cork Collections feature a 2G CorkLoc Fold Down installation method which is incredibly easy, especially for DIY-ers, and fast. At the same time, Harris Cork offers all the standard benefits of a cork floor including sound and thermal insulation. The Ceramic Finish on top protects Harris Cork from normal residential traffic for more resistance against dents and impressions. Approved for installation over radiant heating systems.